The term “Hippology” comes from the Greek “hippo”, meaning horse, and “ology”, meaning “the study of”. 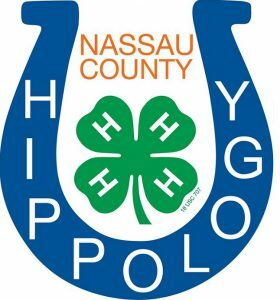 Hippology is relatively new to Nassau County, but is rapidly growing. 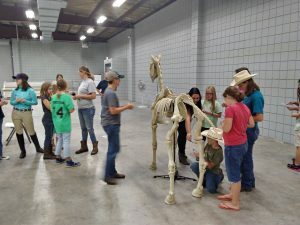 This program allows youth that are interested in learning more about horses, but may not necessarily have access to one. It is not a riding program, but rather a whole-horse educational program. Hippology is open to youth ages 5-18, however due to the higher scientific nature at times it is not recommended for youth under 8. 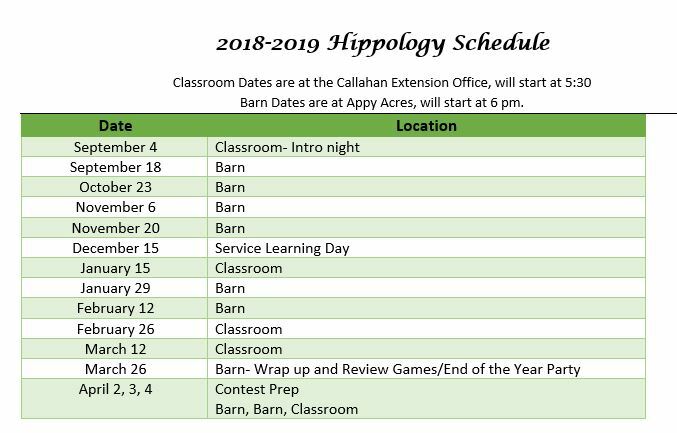 We meet throughout the year either in a classroom setting at the Callahan Extension Office or at our partnership barn (Appy Acres in Hilliard). By participating in hippology, youth can simply increase their horsemanship knowledge, or exhibit their understanding in a competitive setting. Youth have the opportunities to compete in a variety of ways solely on horses including judging, quiz bowl, speeches, and so on! 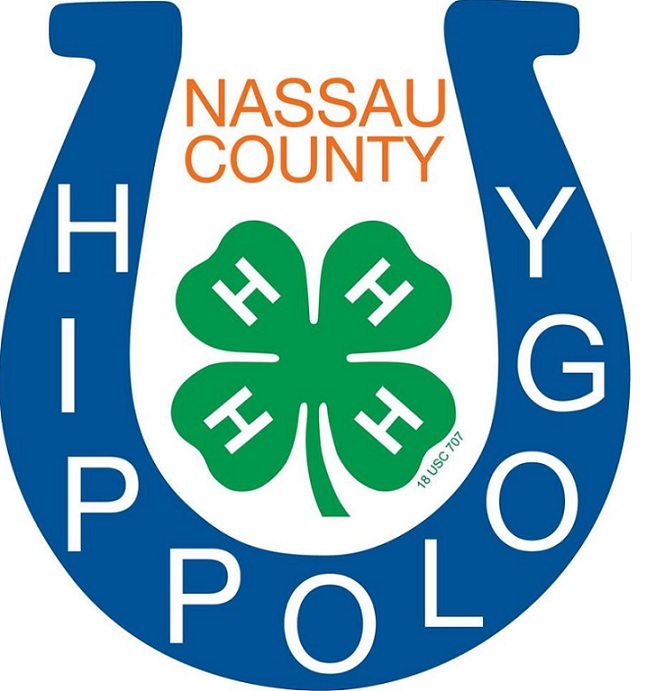 The goal of our Nassau County program, however, is not merely competitively driven. 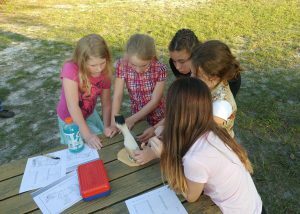 Our Agent and many volunteers are just simply passionate about spreading equine knowledge and horsemanship skills. It has be observed and reported by the public that there is an interest in learning more about horses, but many avenues are either too expensive or not local. To satisfy this need our program allows youth a safe and free way to learn through activities, group work, games, discussions, and exhibitions. There is a yearly contest for youth interested in competing. The phases of the contest include a written exam, identification of items shown on slides, judging, ID stations including feedstuffs, and team problems. The contest is held in Gainesville, typically the first weekend of April. Senior Aged 4-Hers (ages 14-18) can move forward to a regional and even a national level contest! 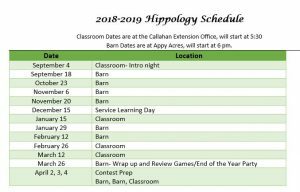 To find out more information about this program you can visit our dedicated Facebook Page, Call our Equine 4-H Agent (Ms Kelsey at 904-530-6353) join us through the REMIND App, or simply come try out a meeting. Our schedule is listed below.